As previously covered on the CIVICUS Monitor, a controversial new law governing freedom of association prompted a fightback from civil society in Kosovo. The Law 06/L-043 on Freedom of Association in NGOs drafted by the Government of Kosovo with civil society’s support in December 2017, went to the Assembly of Kosovo for its first and second reading. During the second reading in November 2018, a number problematic amendments were added to the bill. As previously covered on the CIVICUS Monitor, a controversial new law governing freedom of association prompted a fightback from civil society in Kosovo. The Law 06/L-043 on Freedom of Association in NGOs drafted by the Government of Kosovo with civil society’s support in December 2017, went to Kosovo's National Assembly for its first and second reading. During the second reading in November 2018, a number problematic amendments were added to the bill. If it remains unchanged, the Law on Freedom of Association in NGOs will enter into force with provisions that run contrary to Kosovo's international commitments on human rights. In particular, it gives the state space to terminate NGOs based on arbitrary interpretations of their activities, as well as complicating the formation and registration of NGOs. There are also serious concerns regarding amendments to the financial status of NGOs and their application for Public Benefit Status. A full analysis of the law by the CIVICUS Monitor partner, the Kosovo Civil Society Foundation (KCSF) can be found here. CSOs in Kosovo will continue to meet with head of Parliamentary Groups in order to halt the approval of the law. Local groups argue that if enacted, the new legislation could endanger the future of independent civil society in Kosovo. 61 MPs can stop this! Students from the University of Pristina gathered to pressure the European Union for visa liberalisation for Kosovo citizens. “Visa liberalisation was more realistic during 2018 than it is in 2019," says Jehona Lushaku. Every person in Kosovo has the right to form and join an association. Every person in Kosovo has the right to form and join an association. The Law on Freedom of Association governs the registration and operation of non-profit organisations and foundations. An organisation must register with the Ministry of Public Administration and the process is fairly simple and can be done online. However, subsequent legislation contains broad terms that authorities have used to suspend organisations’ activities. Human rights defenders working on politically sensitive issues, such as corruption, LGBTI issues or women’s rights can, at times, be vulnerable to harassment and intimidation. The right to freedom of assembly is guaranteed by the constitution. The right to freedom of assembly is guaranteed by the constitution. The organisation of demonstrations and public gatherings is regulated by Law no. 03 / L-118. The law is not clear as to whether organisers simply need to notify authorities in advance, or actually secure approval before a demonstration takes place. Although Article 6.1 of the law only establishes a 72-hour advance notification process, the same article later states that: “Kosovo Police authorities shall inform the organiser no later than forty- eight (48) hours prior to the gathering on permission or prohibition of the public gathering.” Numerous demonstrations take place in the country and some protests have ended with clashes between demonstrators and police. In some instances, the police used excessive force to disperse protestors. Kosovo’s constitution and legal framework provide for freedom of expression. Kosovo’s constitution and legal framework provide for freedom of expression. The Civil Law against Defamation and Insult regulates civil liability for defamation, and the 2012 amendment of the Criminal Code fully decriminalised defamation. Although the media landscape in Kosovo is diverse, it is also subjected to political interference, which has led to self-censorship and censorship on issues that are critical of the government. Journalists and media workers are subjected to threats, intimidation and physical attacks. The Association of Journalists of Kosovo documented 27 cases of threats against journalists in 2015. Furthermore, in a recent survey, more than 62% of journalists surveyed reported that they feel threatened with violence. 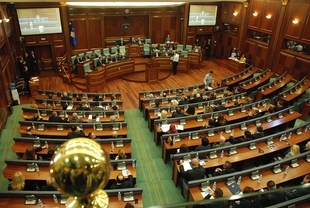 Kosovo enacted a Law on Access to Official Documents in 2010.